Leslie Odom, Jr., the Tony and Grammy Award-winning actor and singer best known for his role in the Broadway musical "Hamilton," will deliver the keynote address at Carnegie Mellon University's 122nd Commencement at 11 a.m. Sunday, May 19, in Gesling Stadium on campus. Odom, Jr. earned his bachelor's degree from Carnegie Mellon's College of Fine Arts in 2003. "Leslie's award-winning acting and music has inspired millions and the CMU community is immensely proud of his success as an alumnus on Broadway, in the recording studio and as a writer," said CMU President Farnam Jahanian. "His talent and perseverance set a great example for our graduates as they prepare to enter the next chapter in their lives, and we look forward to hearing Leslie's words of wisdom in May." Odom, Jr. won the 2016 Tony Award for Best Actor in a Musical for his performance as Aaron Burr in "Hamilton." He also won a Grammy as a principal soloist on the original cast recording. Odom, Jr.'s self-titled debut album topped the Billboard Jazz Chart in 2016. He is also the author of "Failing Up: How to Take Risks, Aim Higher, and Never Stop Learning." He will receive an honorary Doctor of Fine Arts degree during the ceremony. Four others will join Odom, Jr. on stage to receive honorary degrees. Darlene Clark Hine will be presented an honorary Doctor of Humane Letters. She is a leading historian of the African-American experience who helped found the field of black women’s history and has been one of its most prolific scholars. Hine is a recipient of the National Humanities Medal and a member of the American Academy of Arts and Sciences. David M. Kelley is a 1973 alumnus of CMU’s College of Engineering. He founded the global design and innovation company IDEO and Stanford University's Hasso Plattner Institute of Design — commonly referred to as the d.school. Kelley is a member of the National Academy of Engineering and is a recipient of the National Design Award and the Edison Achievement Award for Innovation. He will receive an honorary Doctor of Science and Technology. John Shaffner and Joe Stewart (1976 and 1977 alumni, respectively) are two of the most prolific production designers in television. The duo worked on award-winning shows such as "The Big Bang Theory," "Friends" and "Two and a Half Men." Shaffner and Stewart have earned 39 Emmy Award nominations and won six Emmys. Each will receive an honorary Doctor of Fine Arts. This year's commencement student speaker is Hamza Qureshi, who will earn his bachelor's degree in architecture with an additional major in human-computer interaction. 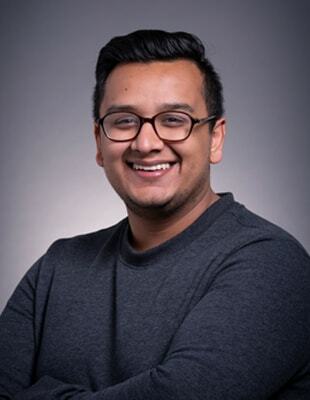 Qureshi is an active member of the student body, serving on the Undergraduate Student Senate and the School of Architecture's Student Advisory Council. He also was an orientation leader and an academic coach with Carnegie Mellon's Academic Development Department. More than 5,800 bachelor's, master's and doctoral degrees will be conferred at Carnegie Mellon's main commencement ceremony. The ceremony will be webcast at http://www.cmu.edu/commencement. Learn more about the speakers and honorary degree recipients.